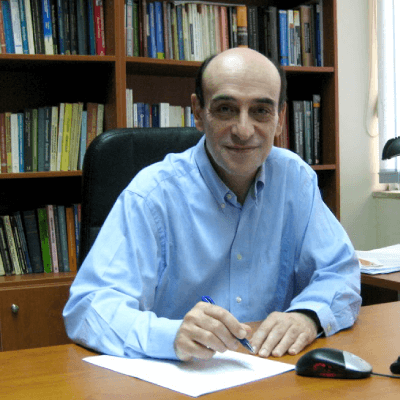 Panagiotis E. Petrakis is Professor in the Department of Economics at National and Kapodistrian University of Athens, Greece, where he serves as Director of the Sector of International Economics and Development and Scientific Coordinator of Distance Education Training Programs. He holds a degree in Economics from the University of Athens, an MSc from the University of Sterling and doctorate from the University of Athens. He was chairman of the Department of Economics at National and Kapodistrian University of Athens the period 2005-2009. He is the author of numerous scientific articles and monographs, and has extensive publications in recognized academic journals (Small Business Economics, Journal of Banking and Finance, Journal of Socio-Economics και International Entrepreneurship and Management Journal) in a variety of disciplines including economic development, entrepreneurship and cultural background. He is the author of more than 26 monographs in topics related to European and Greek growth, crisis, and economic policy. He is the author of a series of textbooks on investment valuation, banking, economic growth and entrepreneurship, taught at Greek universities too. Furthermore, he has served as a board member in scientific committees in the private and the public sector.